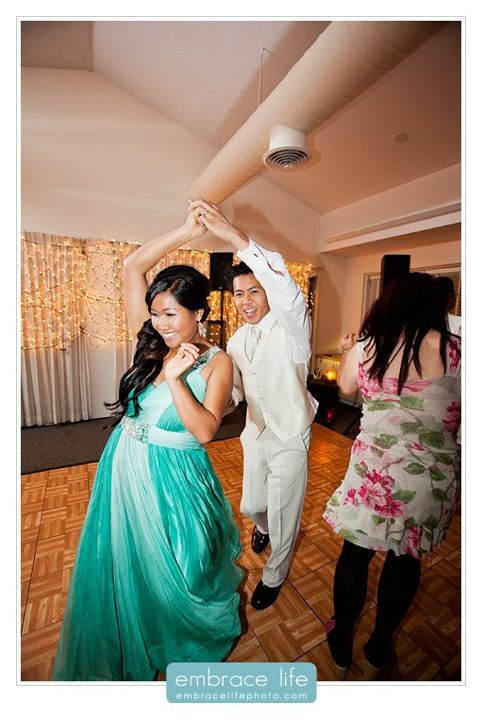 I met Nang through her fiance Chris, who is a wedding photographer (www.UrLovedPhotography.com) I met doing another wedding some time ago. 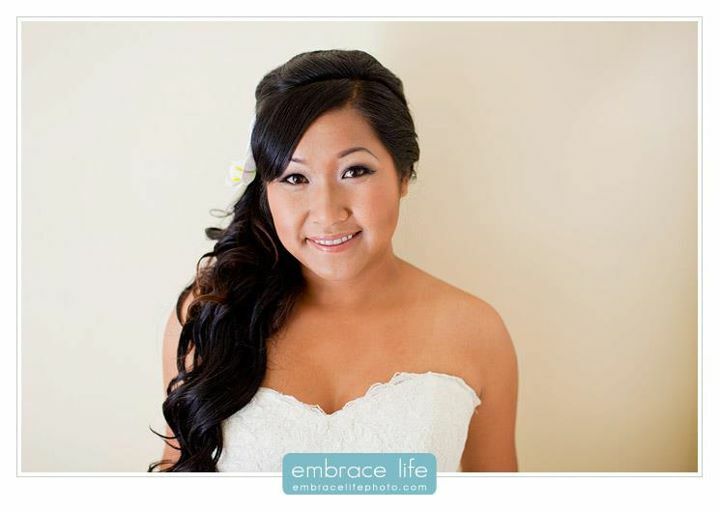 The next time I was expecting to hear from Chris was to do another wedding together, however, I was so happy when Chris asked me to do Nang’s hair & makeup for their very own wedding! 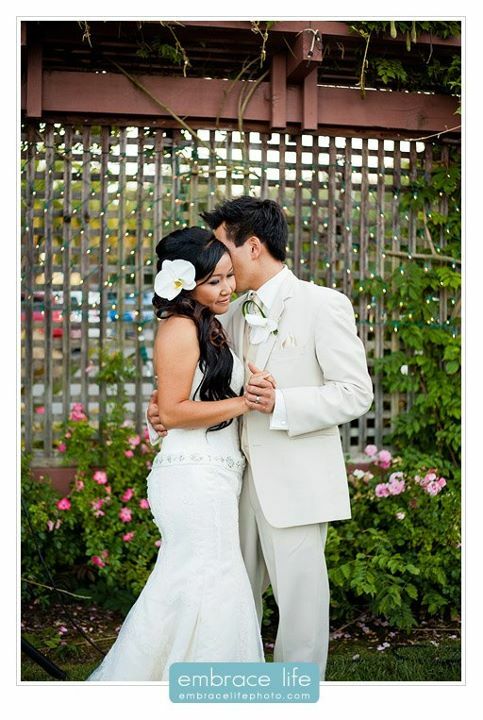 After some email exchange I finally met Nang for her trial, during which Chris showed up happily with his camera to help document the “Before & After.” It was so much fun talking with both Nang and Chris about where they come from, how they came together, and where their futures were headed. 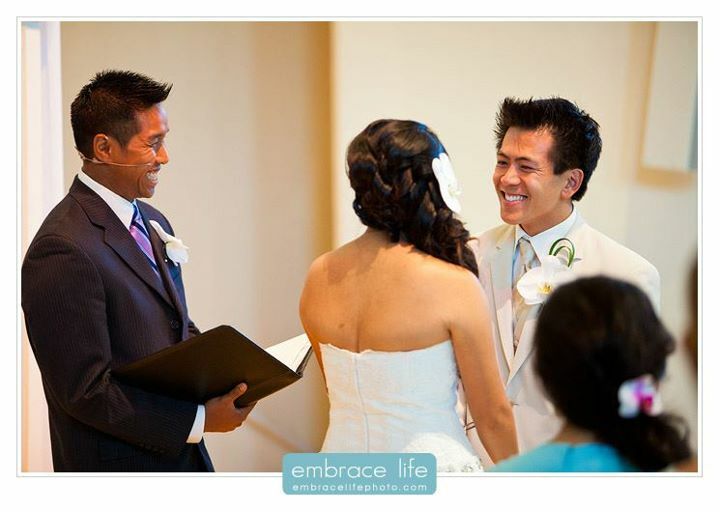 The wedding day came and I arrived to a gorgeous town home Nang had rented out for her family and friends. 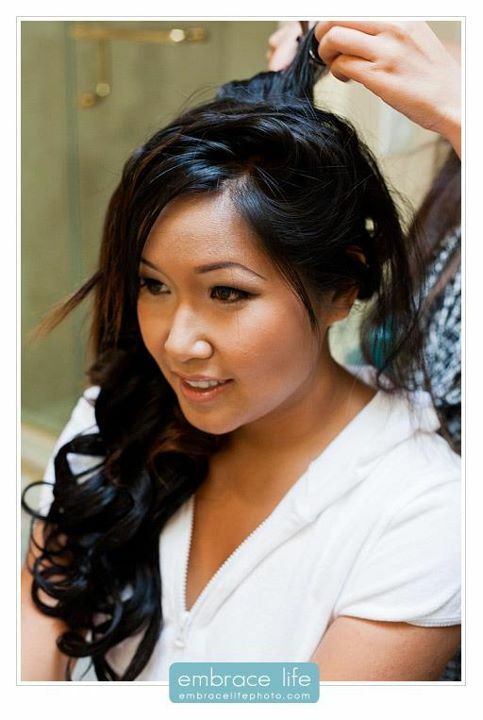 I arrived to see Nang had bought a set of hair extensions, just as I had advised her. 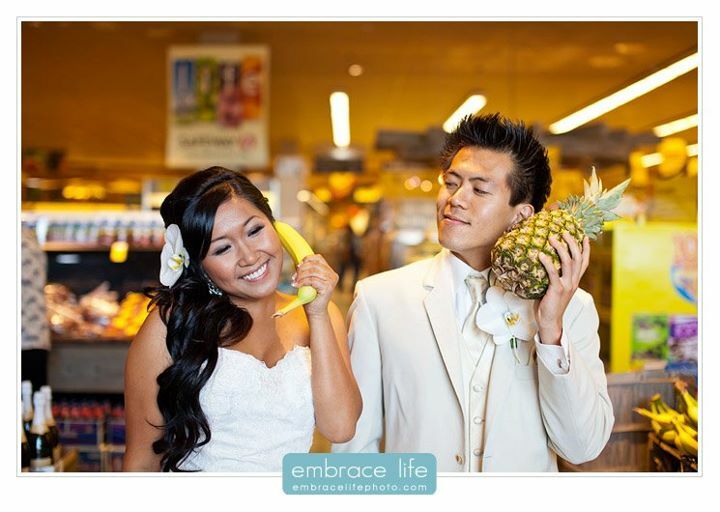 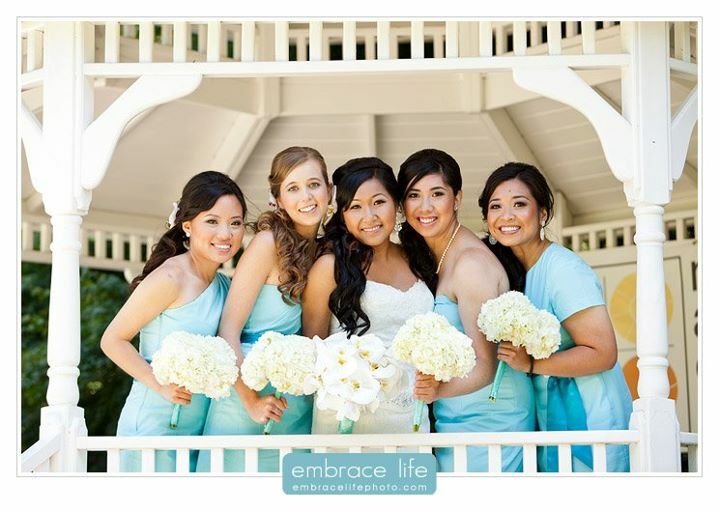 Embrace Life Photo (www.EmbraceLifePhoto.com) came to take these beautiful Getting Ready shots and the rest of the gorgeous wedding day photos! 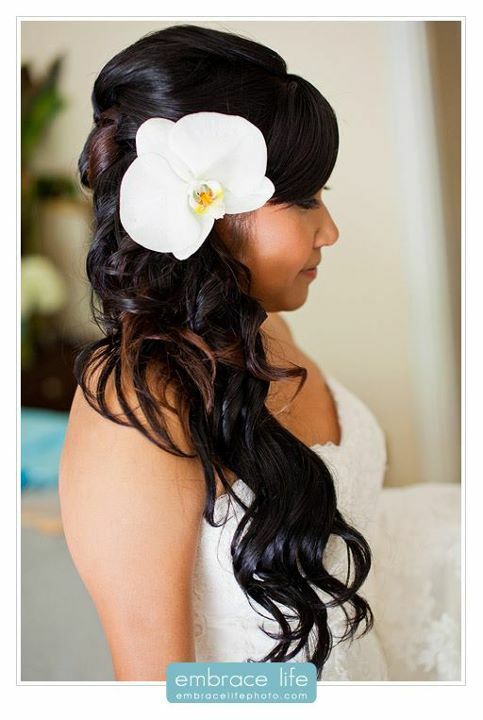 Nang had bought a whole Orchid plant so I could pick the biggest, most beautiful flower to decorate her hair. Being a pre-school teacher, Nang hardly wears any makeup. 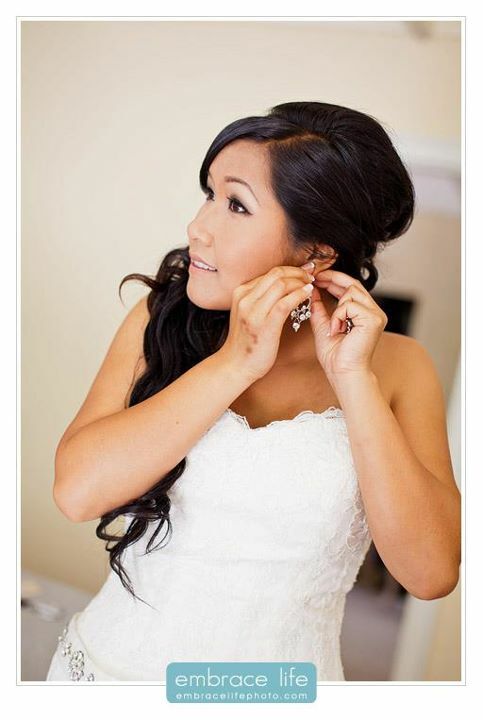 She wanted to be a little glammed up on her wedding day but still stay true to herself. I love how this picture shows the back of Nang’s hairstyle. 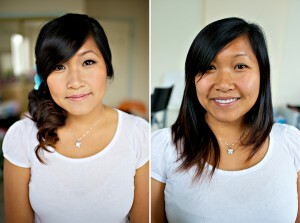 She wanted something with a lot of texture and liked how there were curls all around! 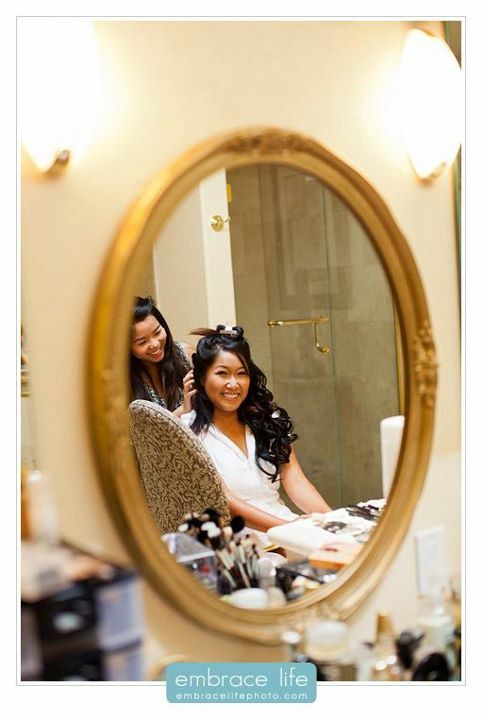 All her gorgeous and talented bridesmaids’ makeup & hairstyling were provided by yours truly and artist Lela. 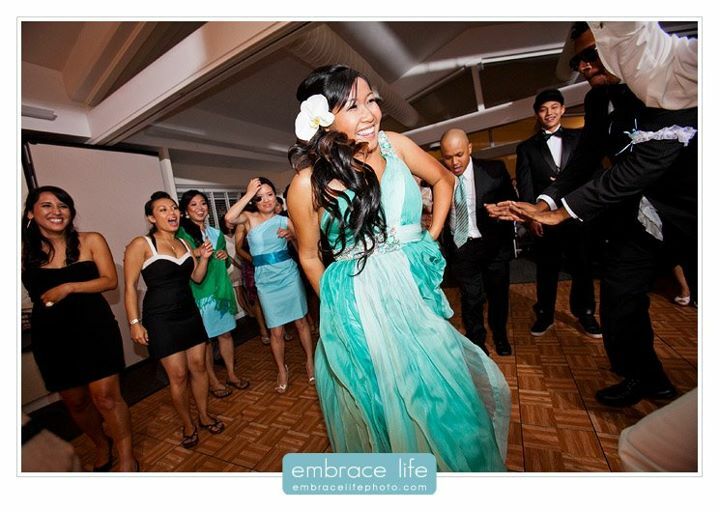 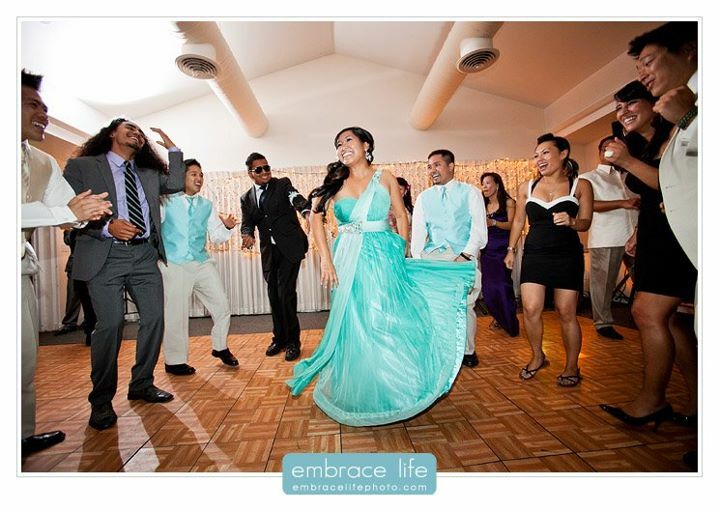 Nang’s beautiful curls and makeup held up all through the night, even as she danced her way across the dance floor!